We were there on Wednesday. Heartbreaking. Had my first sighting today of the WBY. Quite impressive. Somebody in reservations - whose initials I can't read - is watching over us. Thank you very much BF. Quite apart from the content of the response from BF above (which, by the way, I think is a very appropriate and positive response) the fact that they have responded says everything about the class and standards of the company. They want it to be excellent in all respects as we do. 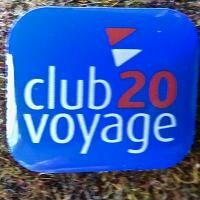 I could save a lot of money by travelling from Newhaven at Senior rates (even over Club Voyage rates) - but I don't want to. We know where we are looked after. The occasional (very occasional) surly reaction of a member of staff is rare enough to be commented upon in these columns, and if I was spending my working week away from home doing that job, I am sure that I would have bad mornings sometimes. I'm retired and still have those mornings sometimes! I do travel by an alternative carrier to Dieppe, Dover or Dunkerque a couple of times a year, just keeping an eye on the alternatives. Yes., Millsy and the Rougemont at Exeter. Nostalgia time, again. We spent several family holidays at their large beachside hotels in Bude and Perranporth, as the earlier weekend perk was replaced by a straight percentage reduction (10 or 20%, I don't remember). I echo comments above, that the Club Voyage discounts are far and away the most generous of any loyalty scheme that I have ever joined (except perhaps a long forgotten hotel company called Mount Charlotte Investments that gave every shareholder a free family weekend) .I was pleased to get my badge (see avatar) some years ago. My 'nice present' turned out to be just a free drink at the bar and my wife, who always travels with me, had to buy her own (well, I paid - she always gets a free cafe cognac at the bar)). I did think that that was a bit mean. And would Stena honour all those Compass Points accumulated between Southampton and Cherbourg that they persuaded us that there was no rush to use them up, because they 'would be valid on the soon to be launched HSS service on the route'? Some hope!!! Motto. Never Trust a Corporate. Yes. Good luck. Sounds as though the crew accommodation is better than that for passengers on the old Stena Normandie! (But I still miss Antonio's restaurant). Things change fast. looks like a spot of over-manning there, unless the picture includes the crew for their second ship on a training exercise. I note the smiley, HF - but the catering on board, the lounges at both LHR and JFK, the ease of boarding from both those lounges and the efforts of BA staff at LHR and (less so) Air France at CDG to expedite the passage through immigration were all true class. I was lucky enough to travel quite frequently on her - particularly eastbound, and I do not approach a NEx crossing with the same sense of excitement. And really it isn't that much faster in time than the Stena Normandy on its (daytime) Summer schedule from Southampton in the old days. The price may not reflect it, but the facilities on the Normandie Express make a pretty good stab at being 'economie' class. The old and run down Mercure by the docks at Cherbourg was replaced by a new Mercure by the inner harbour. Very nice it is, with excellent prices for coffee and at the bar, and, without exception, great staff. I hope that Roscoff is equally lucky. By the way, I do not think that the Cherbourg one is a franchise, but is Accor owned and operated. Barfleur is quite capable of running two return trips per day (with perhaps a 'missed' sailing or two per week for any catch up to the schedule).